Deveshi Kulshrestha, 25, was arrested from a flight about to leave for Hong Kong from the Delhi airport in the early hours of Monday. She was allegedly roped into smuggling out foreign currency multiple times as part of an international network. Deveshi Kulshrestha allegedly hid 100 dollar bills wrapped in foil and hidden beneath clothes and shoes. A Jet Airways air hostess accused of trying to smuggling Rs 3.34 crore in US dollars has named two more employees of the airline, sources have told NDTV. She has allegedly given details about two more Jet employees involved in the hawala transactions. Ms Kulshrestha was allegedly paid Rs 1 lakh for each trip. Investigators say she has claimed that her husband wasn't aware of her dealings. "Her husband used to deposit money in the bank but she didn't reveal the source of the money to him," sources in the Directorate of Revenue Intelligence told NDTV. The air hostess was married a year ago to a former Jet Airways employee who now works for a placement company. She was allegedly persuaded to smuggle cash in her baggage by hawala operator Amit Malhotra, who befriended her about six months ago. After a tip-off, a team of the Directorate of Revenue Intelligence entered a flight that had just started boarding for departure at 2 am and searched Ms Kulshrestha's bags. They found wads of 100 dollar bills wrapped in foil and hidden beneath a layer of clothes and shoes. The money passed the x-ray because of the aluminium foil, officials said. According to investigators, Amit Malhotra was in touch with some more crew members of the airline. Using his airline contacts, he would send illegal money abroad. The money would be used to buy gold, which would then be channeled to India, officials said. Ms Kulshrestha allegedly came in contact with Amit Malhotra when he promised good rates for foreign exchange. In Ms Kulshrestha's check-in luggage, there were 32 bundles of notes, neatly wrapped in foil, and 16 more in her hand-baggage. "She had already boarded the plane. Passengers were about to board. 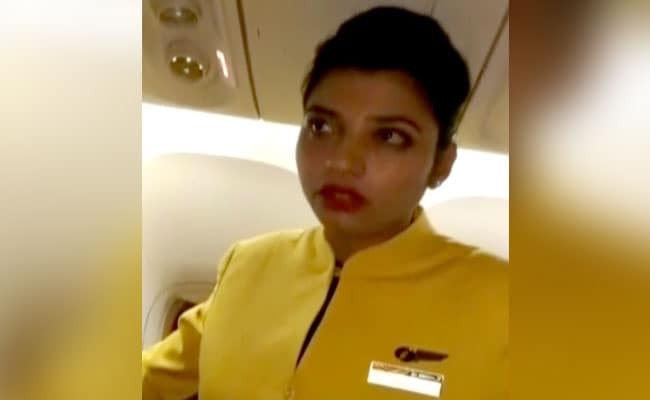 After we received information, we first stopped boarding and then checked her hand baggage and recovered cash," an officer associated with the probe told NDTV.